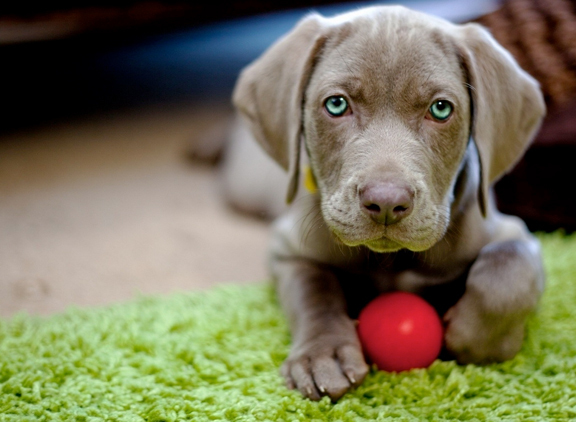 One of the most common issues we encounter in carpet cleaning is pet stains. In order to have success removing a pet stain, it is important that we get to the stain in a timely fashion. In other words, the longer the stain is there, the more difficult it is to remove. Pet urine stains CAN be permanent if left for an extended period of time! We understand that it is not very cost effective to the customer to call Marin Carpet Care every time your pet has an accident, and so we would like to offer you a few self-treatment techniques for pet stains in between your professional carpet cleanings. As soon as you discover that your furry friend has had an accident, (hopefully it is still wet), get a dry rag, place it over the stain and stand on it. You want to gently absorb as much as you can. After standing on the rag, flip it over and do it again. Continue to do so until the urine is completely absorbed and the rag is no longer picking up any moisture. Next, Marin Carpet Care recommends Nature’s Miracle Stain and Odor Remover. This can be purchased at most pet supply stores including PetCo, PetSmart and Pet Food Express. To use Nature’s Miracle Stain & Odor Remover, pour directly onto the area at full strength – no diluting needed. (We recommend doing a test spot in an inconspicuous area before using this product on your carpet. And never use on leather, silk or suede!) Use enough to completely saturate the area and soak through to the padding and subfloor. A good rule of thumb is that a one-square-foot area will need a pint of Nature’s Miracle; a four-square-foot area will need a quart. If your carpet is soaking wet, you’ve probably used enough. Allow it to sit for about 20 minutes, and then blot the product up. For a tough stain, use a bristle brush to rub the Nature’s Miracle in before blotting. Allow the carpet to dry naturally – no fans or heat to speed it up. We also recommend Nature’s Miracle Just for Cats as it is specially formulated to treat more concentrated cat urine. We also recommend Nature’s Miracle Stain and Odor Remover for pet feces. The treatment is the same as for pet urine stains (above) however before using the product, you must remove as much solid waste as possible beforehand. Be sure to gently blot up and material left behind and NEVER rub! It is important to blot stains with a clean cloth and never rub them. Blotting puts a small amount of pressure on the stain in order to absorb it up. Rubbing causes the stain particles to ground in to the carpets fibers, making it difficult to extract. In other words, you would be doing more damage than good. Always blot from the outside of the stain inward to prevent the stain from spreading. 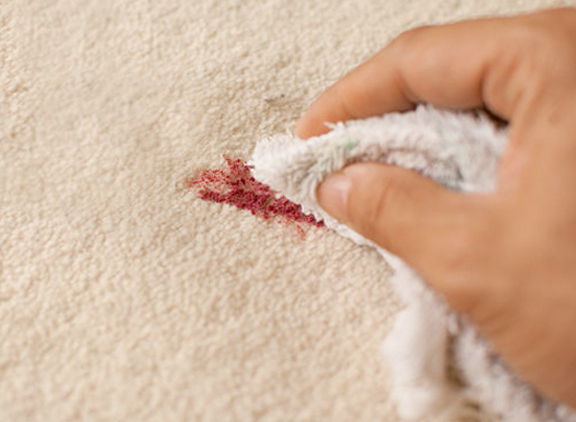 One of our favorite do-it-yourself remedies is how to remove wax from your carpet. All that is needed is a brown paper bag and a hot iron. 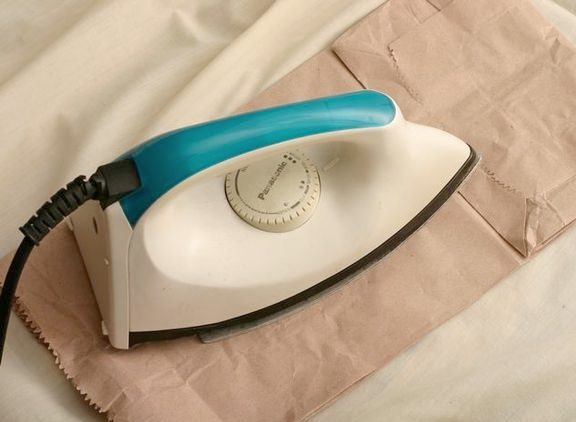 Place the brown paper bag (free of any printed logo inks) on the wax, place a hot iron on top of the brown paper bag press gently and watch the wax melt up off of your carpet and onto the bag.